The podcast about the hookah industry from two hookah fans. Welcome to AM Hookah, Enjoy the show! This week let's talk about Tax Time as you know that is what today is, and if you have not filed by the time you listen to this show, i hope you plan on moving cause the taxman is coming for you,. But if you need some ideas on what to use that money on, we have some ideas. Let's also take a look at Hookah lounges and mixes, lets see what makes a good lounge and a lounge that makes you want to go back to and visit more and more, we have all had good visits and bad one so let's talk about that a bit. And you know we want to hear from you, so get read to call in later and let us know what you have to say about hookah lounges. We are going to get a visit from a friend to talk about some current events. Support the stream: https://streamlabs.com/amhookah ****************************************** This week let's talk about different brands, the hype around them, and they’re market share. Does a brands hype correlate to its market share? Does the “hype” around a product actually affect their the bottom line in such a small internet community? Are we may be missing out on some really good brands due to the “echo chamber” that is so prevalent in hookah social media? ****************************************** Support the show Use Code AMHookah at HookahJohn.com for 10% off any order of 45$ or more. Amazon Links Jumbo Flat https://amzn.to/2TUOS8t Cube https://amzn.to/2TUOEOF ****************************************** The AM Hookah Podcast has Three shows Monday the Podcast Wednesday The Gamecast Friday Technical Difficulties ****************************************** Use !commands to see all the stuff you can type in! !Bowls Find out how many you have in your Wallet !smoke What we are Smoking! That's right the A and B are in the house the producers are taking over! We have a fun filled show planned with a game that braken has been working on that will put the AM Team Vs the Moses Team to see who knows there team partner more. Plus we had Derek on the show during Season 1 when he had just started to sell his custom leather wrapped hoses. Lets see what has happened to him in the last year. Plus we are Joined by Devyn Moses as well! This week we are going to talk about some news around Azure, and a general Discussion about the brand, we can talk about the flavors, cuts, and a whole lot more. This week the Doctor is in the house, we are joined by Dr.Noobsauce Chris, a member of the hookah community he is on twitch gaming, and love to smoke hookah, New York native and all around good guy! Thank you for joining us this week and how are you doing. We talk Hazy, Gaming, and more! 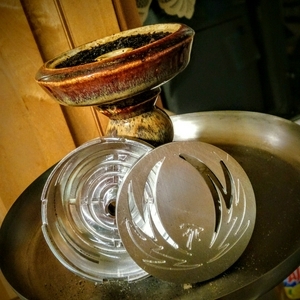 Support the stream: https://streamlabs.com/amhookah What is up, Midnight Tokers, Afternoon Inhalers, and AM Hookah Smokers This is the A|M Hookah Podcast! We are a Weekly Podcast Every Monday at 5:30 PM MST Talking about Bowls, Tobacco and a Whole lot more! I’m Matt and with me as always is the Frog that thinks no of this is any of his businesses Adrian how are you doing this week Joining us this week is a friend to the whole community, you know him from his time at hookah rush and his new project Summit Smoke on Facebook, how are you doing his week Christian, thank you for joining us. This week we will be talking about some cherry popping, we will do a dive in the first time we have tried some flavors and brands with some other stuff in there as well. 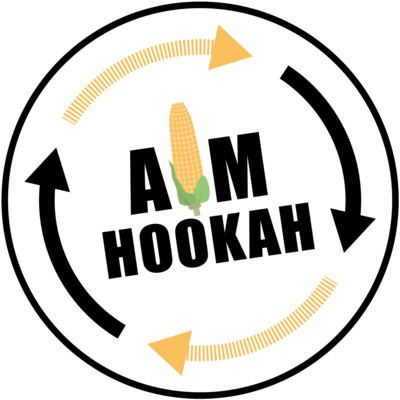 What is up, Midnight Tokers, Afternoon Inhalers, and AM Hookah Smokers This is the A|M Hookah Podcast! We are a Weekly Podcast Every Monday at 5:30 PM MST Talking about Bowls, Tobacco and a Whole lot more! I’m Matt and with me as always is the Frog that thinks no of this is any of his businesses Adrian how are you doing this week And with for a Very Special Gift Giving EP! All about what to get the smoker of has it all, the Mat OF PackMatz, you know him from being on of the coolest people in the community Bracken! How are you doing this week, thank you for joining us this week! https://www.etsy.com/shop/packmatz Go and Support this awesome stuff, the winner got a custom one for getting us to the 25 like goal! 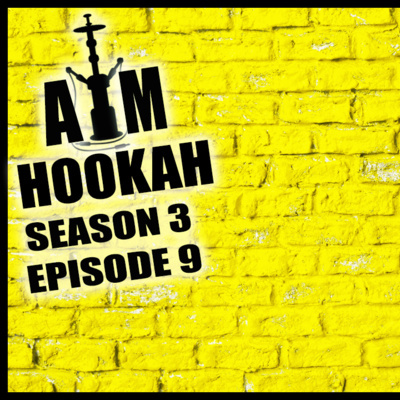 What is up, Midnight Tokers, Afternoon Inhalers, and AM Hookah Smokers This is the A|M Hookah Podcast! We are a Weekly Podcast Every Monday at 5:30 PM MST Talking about Bowls, Tobacco and a Whole lot more! I’m Matt and with me as always is the Buzz in Starbuzz Adrian, how are you doing this week! This week the show is all about how you like to mix it up! We have some pics to show for for the YouTube show, please we will talk about our fav mixes, why we like to mix and take calls as well! ets talk about the stuff that we enjoy, the stuff we like, the reason that we enjoy this hobby. chime in with your thoughts and your likes, we will go over a lot of stuff in this. Matt is going to call in live from Los Vegas to tell us all about Hookah Expo Worldwide 2018!!! https://www.hookahheroes.com/pages/vip-program !! !We have more Giveaways!!! Today we are talking with Kyle Smith of Relix Bowls, who is about to offer a new release of the Relix Rings that will be on the Hookah Heroes website in the near future! Plus we have more Giveaways!!! During the show we have some Azure Tobacco to giveaway!!! as well as a Pair of Expo Tix!!! just have to listen to win your pair!!! The show tonight will have a lot on hand!!! The Topic will be about all the Module Hookahs and what we think about them! Plus we will have some more awesome stuff to giveaway including 3 250g Al Fakhamah USA with the Special Edition Fork!! you will not want to miss this! we will have Call-Ins again and 2 pairs of Expo Tickets to giveaway!! The show will be at 5:30 MST! sub and hit the bell icon so you know the moment we go live! This show is filled with a ton of stuff for the new season, we have lots to giveaway, and we also have a new section for call ins! join us next time on youtube, sub and hit the bell icon so you know the moment we go live! 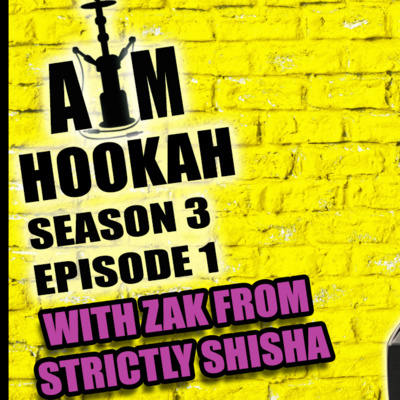 Latest episode of A.M. Hookah Podcast! Someone lite the Coals! Hey all you AM Hookah Smokers, we have a show that is all about the best stuff, but that means the stuff you sure do not need, we just always want! https://teespring.com/shop/am-hookah-... This is a big week, The AM Hookah Podcast is Happy to Welcome Nino from Mason shishaware, The owner and Mind Behind the Mason Bowls that you know and love, and are always trying to get your hands on. Lets talk about how the bowls are made and a lot more, Questions will be welcome in the chat as always! 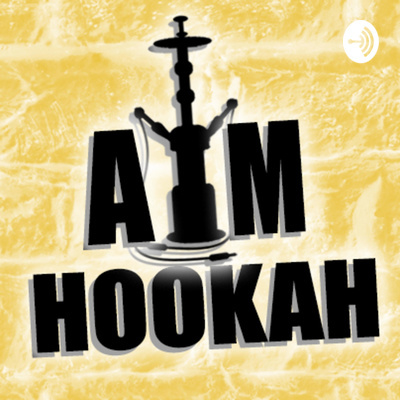 A.M. Hookah Podcast Season 1 Ep 17 All about the Hose! This show is all about Coals, the Cube, the Flat, and everything between! yes we will talk about some of the big names and maybe some coal names you may not have heard about! let talk about the Big giveaway and a ton more stuff, and Matt is Back! Matt is Back!!! and is ready to talk about hookah. Lets talk about how we can best save our shisha, if you have ideas or would like to join in make sure to listen to us live and be apart of the conversation! Thanks for joining the crew today! This is a filled ep talking all about social smoking, not the brand but the part of this hookah hobby that is always enjoyable, smoking with a friend. We are joined in house by one of Matt's friends to talk about smoking with friends and answer some questions. There was a few issues that happens in this ep, but hey whats new. thanks for understanding and enjoying. In this Ep we are joined by Rob from Dude wheres my hookah on youtube. one of the best reviews. We have a great talk about the culture of reviews on youtube.